The Yamagata, Japan native first wore the famed bodysuit of the movie monster in the 1954 film Godzilla, which was released stateside as Godzilla, King of the Monsters. He’s a native of Edinburgh but now lives in London. The red squirrel is a native of Britain. Wimpey had plenty of potential to grow the stateside business. Nakajima was featured in movies such as Eagle of the Pacific and Seven Samurai prior to landing the career-defining part, for which he had to don a 100-plus pound suit that was made of concrete. The movie features James Dean as a disaffected teenager. The film features Diane Ashmann as a young French student. Her work will be featured in a new exhibition. This month’s magazine features the new James Bond on the front cover. The questions had been asked prior to my arrival. The plane seemed to catch fire a few seconds prior to taking off. At the age of 19 she landed a small role in a West End play. He was hoping to land the job on a permanent basis. He landed a senior editorial job. The movie features Bruce Willis in his career-defining role. Donning a new suit, he set off for his interview. The earliest canoes were made from tree trunks. She wore a beautiful necklace made of silver. Speaking with Great Big Story in March, he revealed that the reason the heavy concrete was used instead of rubber was because of a shortage of the latter stemming from World War II. His popularity stemmed from the fact that he was born in the area. Many of her problems stem from her family. These practices stem from traditional Chinese medicine. I studied piano for a year, but I never really got a feel for it. I’m still trying to get a feel for what the software can do. I practiced for a few hours before I really got a feel for the best way to do it. She spent her career observing animal behavior. He spent a year in the jungle, observing how deforestation is affecting local tribes. Children learn by observing adults. All evening Jane observed his behaviour closely. 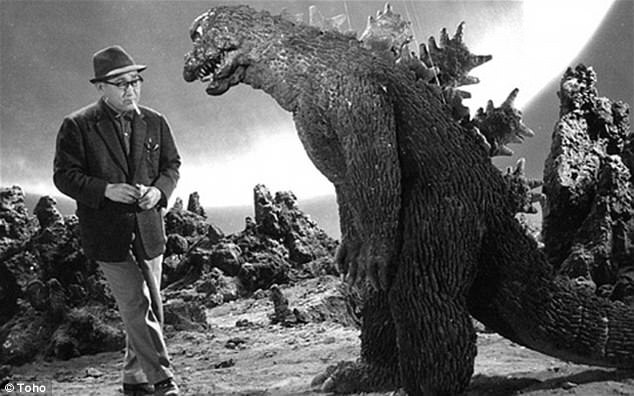 Nakajima subsequently went on to play Godzilla a series of sequels, including 1955’s Godzilla Raids Again, 1962’s King Kong vs. Godzilla, 1954’s Mothra vs. Godzilla, 1969’s All Monsters Attack and 1972’s Godzilla vs. Gigan, his last film in the role. He also worked as a stunt choreographer on many of the franchise films. The disease subsequently spread to the rest of the country. In 1982 he was arrested and subsequently convicted on drug trafficking charges. Sequels to movies like “Jaws” and “Superman” have become big business in the film industry. I’m reading the sequel to “Gone with the Wind”. The nomads raided the enemy camp and captured over 100 camels. Guerrillas continue to raid villages in the area. In addition to his efforts in the role of Godzilla, Nakajima was featured as King Kong in 1967’s King Kong Escapes. 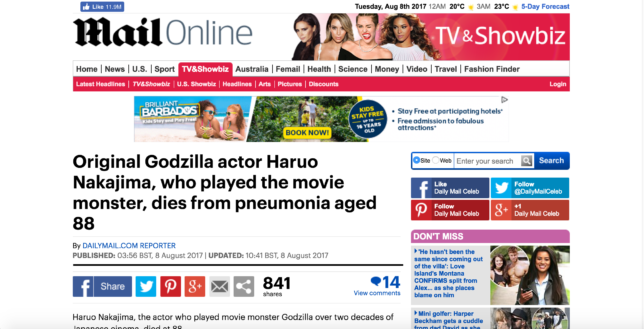 Nakajima, a regular on the monster convention circuit, released his memoirs, Monster Life: Haruo Nakajima, the Original Godzilla Actor, in 2010. He’s one of the regulars at the club. She has won a number of tournaments on this year’s tennis circuit. She has competed in many golf tournaments on the European circuit. After the flood, nothing remained of the village. Only a few hundred of these animals remain today. The area has remained virtually unchanged in 50 years.